Kaydon's 230,000 sq. ft. Muskegon, Michigan plant manufactures ball bearings and roller bearings for the aerospace, defense, industrial machinery, and heavy equipment markets. The Muskegon plant manufactures bearings in sizes up to 72 inches diameter. Capabilities include case carburizing, through hardening, induction hardening, and cryogenic heat treatment. 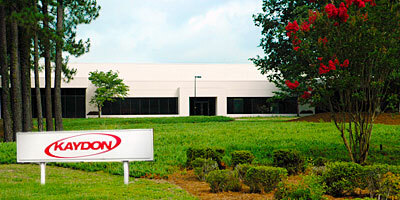 Kaydon manufactures ball bearings from 1 inch to 54 inches for the medical systems, industrial machinery, semiconductor, and aerospace/defense markets at two facilities with a total combined manufacturing area of 312,000 sq. ft. Most product is through hardened chrome and stainless steel, but the plant can also induction harden parts up to 70 inches diameter. 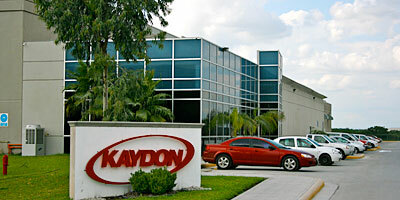 Kaydon manufactures slewing ring bearings up to 144 inches in diameter at two facilities in Monterrey, Mexico. Kaydon's La Silla plant has 69,200 sq. ft. of manufacturing space for the production of slewing ring ball bearings serving the renewable energy, heavy equipment, and industrial machinery markets. The Kaydon site at Kalos Industrial Parks in Guadalupe features a 174,400 sq. 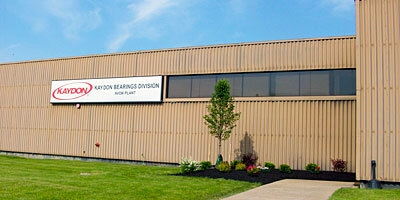 ft. facility providing pitch and yaw slewing ring bearings to the wind energy markets. Both facilities offer geared (internal and external) as well as gearless slewing rings, remanufacturing capabilities, gear hardening and induction heat treatment, and paint and zinc spray capabilities. The plants serve their markets through a distribution center in Laredo, Texas. Kaydon's 67,200 sq. ft. Avon, Ohio plant manufactures large diameter ball bearings and slewing rings up to 240 inches for the renewable energy, heavy equipment, aerospace and defense, and industrial machinery markets. 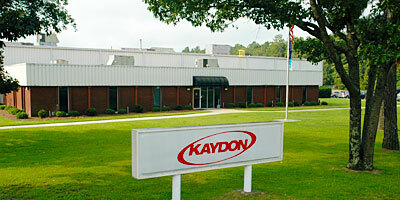 Kaydon's Avon plant also has 24,000 sq. ft. dedicated to the refurbishment of bearings, designed to bring a used bearing to the original manufacturer's specifications. Kaydon's 3,065 m2 (33,000 sq. 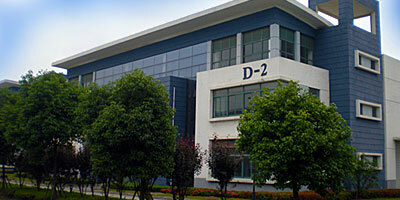 ft.) Suzhou, China plant manufactures, assembles and tests a variety of bearings for the global medical and industrial machinery industries. Kaydon manufactures pitch and yaw slewing ring bearings up to 4 m (144 inches) for the Brazilian wind energy market at its 6,000 m2 (66,000 sq. 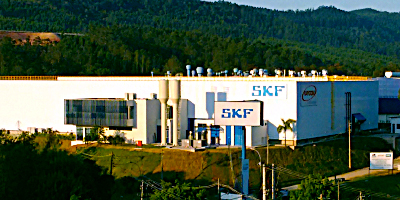 ft.) facility in Cajamar, Brazil on the SKF campus. Plant capabilities include geared (internal and external) and gearless slewing ring manufacturing and remanufacturing capabilities, gear hardening and induction heat treatment, and paint and zinc spray.